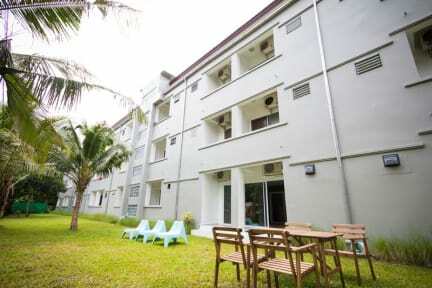 The Habitat hostel is a newbie in Koh Chang, perfectly located right at the back of V.J. Plaza, an ideal shopping and dining place in Klongprao area. 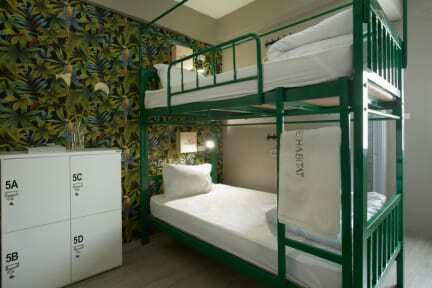 We offer budget yet cozy dormitory rooms, decorated with “Tropical Jungle” theme. Delivering a true sense of tropical livings while taking you to be close to the nature once again. On-site facilities, such as shared common space and backyard area allow you to socialize with new friends while exchanging cultures and experiences. Come join us now, loads of fun is waiting ahead. ***We do collect 500 THB guarantee deposit upon check-in.